Note: This is a fairly long tour covering a distance of about 190 miles from the first tour stop to last tour stop. For a shorter tour, the Mine Creek State Historic Site is about 60 miles south of the Kansas City Metro and well worth the trip. 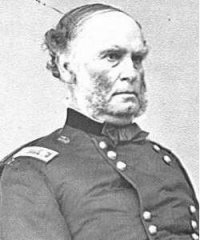 On October 23, 1864, Union forces and Kansas State Militia under the command by Major General Samuel R. Curtis defeated Confederate forces commanded by Major General Sterling Price in and around Westport, Missouri. 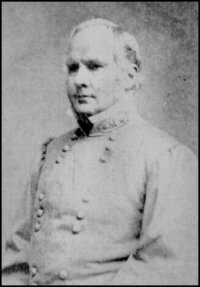 Following this defeat, Price was able to escape south with his Confederate army reasonably intact. This tour takes you along as Price's Army withdrew south through Kansas and Missouri. The Federals formed a pursuit column that kept after Price for a week before ending their pursuit. There were several engagements along the way and one significant battle at Mine Creek which saw the end of Price's Army as an effective fighting force.